We have a range of commercial bank finance products on new and used motorcycles and we can help you choose your best option to make getting out your dream bike on the road even more affordable. 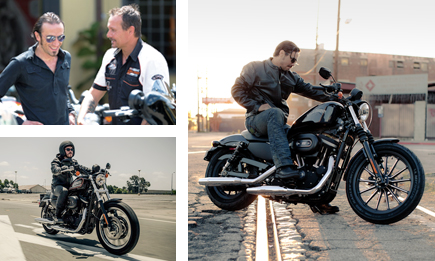 You've dreamed about the thrill of riding a Harley-Davidson motorcycle and now you’ve chosen to fulfil that dream. Richco Harley-Davidson is offering the best financial deal. We are working with Krungsri Auto Leasing, Kasikorn Leasing, and Ratchthani Leasing - please feel free to choose any leasing as you required. Now let the financial specialists help you take to the road as simply and quickly as possible. Packages can be tailored to suit your monthly budget enabling everyone to enjoy the true riding experience owning a Harley-Davidson brings. If you have any question on the financial plan please do not hesitate to contact us.